A dense green-colored pond with fish swimming near the surface is a tell-tale sign of oxygen deprivation. The green color is caused by excess growth of microscopic algae known as phytoplankton. Having a moderate amount of this algae is a good thing, as they produce most of the dissolved oxygen in the pond. However, major problems can occur when a pond owner cannot see an object submerged 18 inches or less at noon on a sunny day. “The more dense the phytoplankton blooms, the greater the danger of it dying, and when that happens the decay process uses up all of the oxygen in the water,” Beem said. Additionally, floating plants, such as duckweed that totally cover the pond surface, will cause low oxygen. In an attempt to avoid suffocation, the fish will swim near the surface, gulping as they try to get some oxygen from the surface layer. When these signs are identified, feeding of fish should be suspended and finding a way to get oxygen into the water is important. Emergency aeration equipment should be set up and ready to go before dead fish appear. 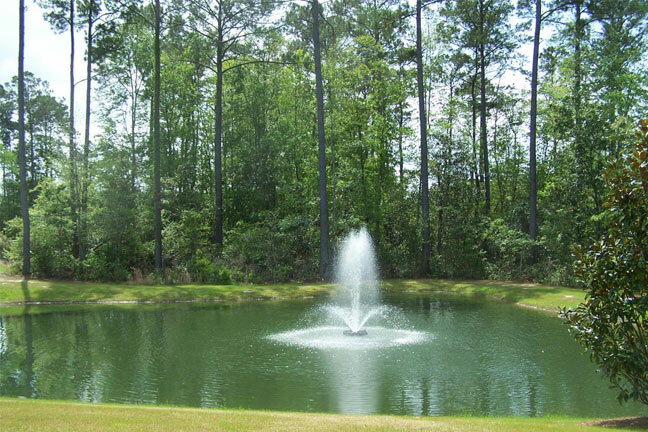 Permanent in-pond aerators are an increasing trend among pond owners, but Beem warns that they may not always be practical.